1) Take Kale out of bag and chop around the stems. Unless you enjoy eating the stems, try slicing all of the leafy kale off of each piece, tossing the stems to the side. Make a nice, heaping bowl of sliced kale. 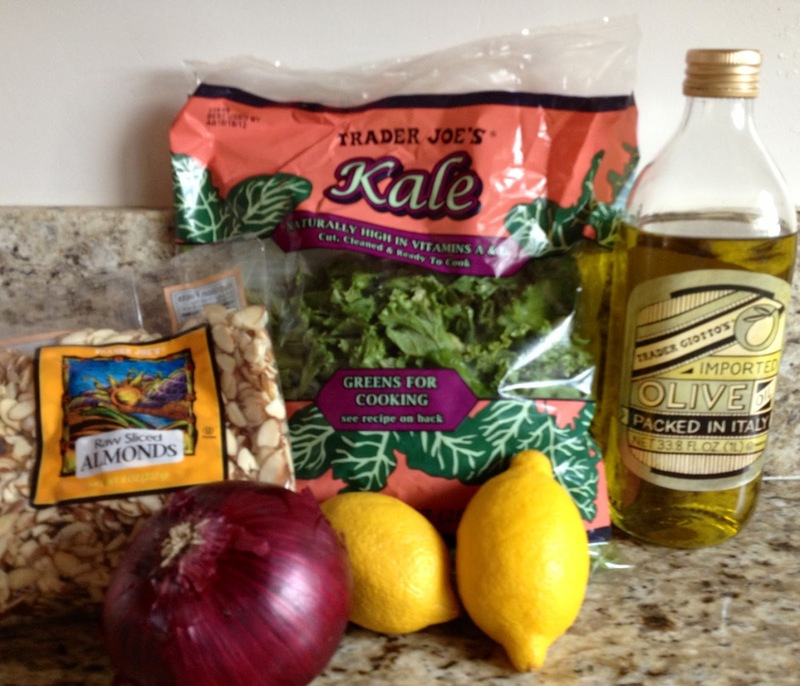 2) Cut each Lemon down the middle and squeeze out all the juice that you can over top of the bowl of chopped kale. Remove any seeds that may have fallen in. Make sure salad is fully coated with lemon juice. Much like how ceviche is made, the lemon juice is what "lightly cooks" the leaves, making the texture a little softer, yet still raw since it hasn't been in contact with heat. 3) Chop half of the red Onion into long slices. If you really love the flavor of red onions, consider adding more. 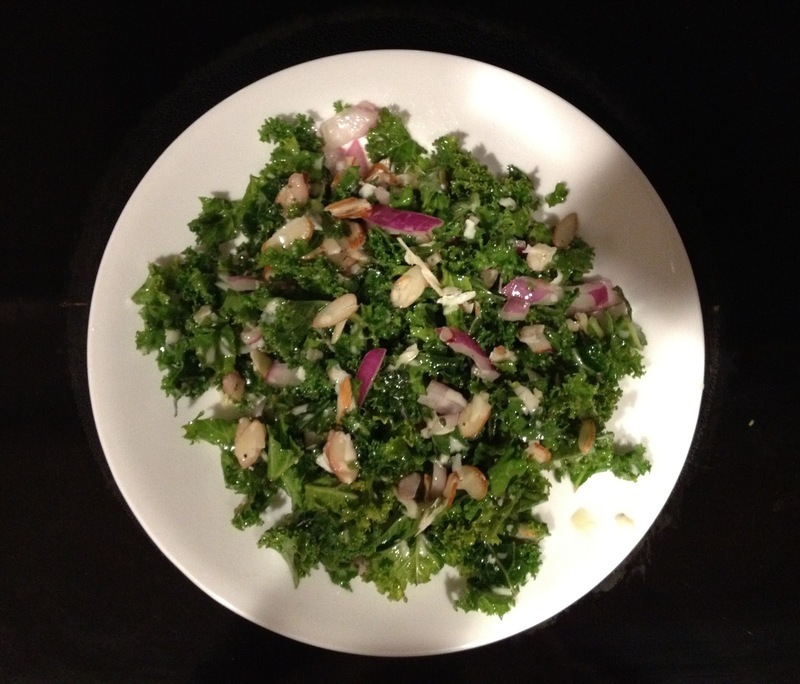 Sprinkle red onion slices over top of the chopped kale. 4) Drizzle olive oil over top of salad. Mix together then decide if you need to add more, based on your preference. 5) Shake a good serving of the raw Almonds over top of the salad. Mix everything together. 6) Grate a nice, big helping of Parmesean over top of the salad. Toss it all together for 30 seconds to 1 minute to get all the ingrediantsspinkle a bit over top, starting off slowly to not mask the great flavor of the salad. *For other fun variations of this salad, try adding apple or pear slices, chopped cashews or toasted walnuts or a protein like white beans, fish or chicken.